Corporatocracy or Democracy? » Democracy requirements, deficits, solutions » 2017-03-22 Canadian torture victim Abdullah Almalki calls apology a ‘victory for human rights’. Also note: US control of Canadians flying outside Canada. CBC The Current. 2017-03-22 Canadian torture victim Abdullah Almalki calls apology a ‘victory for human rights’. Also note: US control of Canadians flying outside Canada. CBC The Current. I would like to drag us all, kicking and screaming, to hear those 16 minutes. If “the authorities” are able to get away with the extinction of Charter Rights and The Rule of Law, we are indeed doomed to a form of fascism. I wonder how many of us would fight for 12 years, in a country that is often racist, to hold the authorities to account? Is there any other way to shine a light on the rhetoric versus the reality of Charter Rights and the Rule of Law, in the rhetoric versus reality of Canadian Democracy? The fact that Mr. Almalki can emerge from his ordeal with his graciousness intact is remarkable. Among other things, Abdullah Almalki points out that the Americans control where Canadians fly to, even if the flight does not land in, or fly over, American airspace. He does not say (what I say): Canadians have given over their sovereignty to the U.S. without any public debate. When time permits, I will post other material on the control that the U.S.A. has over air traffic. “Scroll through the information under the Category (right-hand sidebar) “Peace or violence“, sub-category “Lockheed Martin…”. Quislings in Government are giving away Canadian sovereignty and have been for many years. There is increasing militarization. . . .
For more than 15 years, this network has fought alongside other Canadians, Americans and non-North Americans, against the destructive forces that have gained an upper hand. You have enabled and supported me; I hope I have enabled and supported you. I am extra sensitive to the issues, if only because this network has been effective in creating awareness of the role of the military-industrial-surveillance complex in Canada through one of its vehicles – – Lockheed Martin Corporation. I also read the news report about the Americans who were driving to Vancouver to attend a presentation by Chris Hedges; turned back because one of the women had attended an event. It happens that I attended the same event, but when it was offered at a Canadian location. That’s why I say: Listen 16:18 !! It is important to hear, and to share, what Abdullah Almalki and others are telling us. I visited Mr. Almalki’s blog, http://www.abdullahalmalki.com/, and left a message. I want him to know how much his contribution to Canadian democracy is appreciated. My words seem vastly inadequate. It was one of the darkest chapters in Canada’s so-called war on terror. Soon after the 9/11 attacks, four Canadian citizens were detained and tortured in Syria and Egypt based on faulty intelligence originating in Canada. 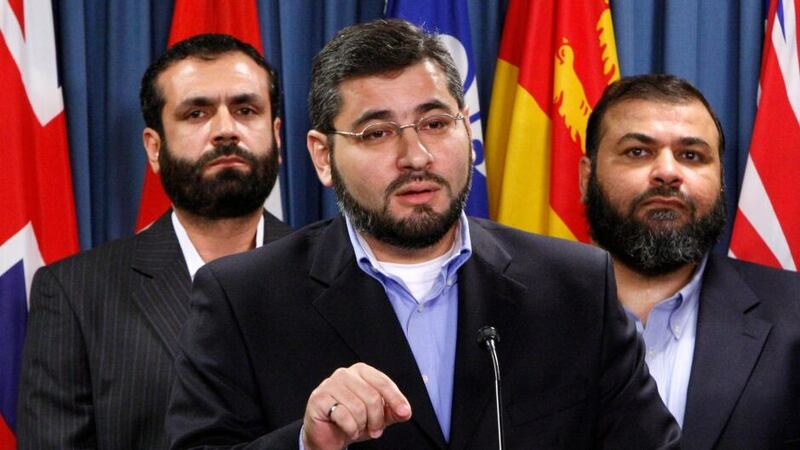 It was over a decade ago that one of those men, Maher Arar, received an apology and settlement from the Canadian government for his ordeal. But it wasn’t until March 17, for the other three men, Abdullah Almalki, Ahmad Abou-Elmaati and Muayyed Nureddin, to finally receive apologies and settlements of their own. “To see this apology after more than 12 years fighting for it, I was extremely happy — my family was extremely happy,” Almalki tells The Current’s Anna Maria Tremonti. Almalki, a Syrian-born Carleton University graduate, was jailed and tortured in Syria from 2002 and 2004. It’s been 13 years since he was cleared by a security court in Syria — and nine years since he was cleared by a judicial inquiry in Canada. He feels closure to his ordeal should have happened right after the inquiry and does not know why the government took so long. Almalki tells Tremonti that almost anything can trigger flashbacks to the torture he endured and says the haunting memories will never go away. “I accept this and accepting this has made me able to move forward — it has made me able to handle it rather than trying to avoid it, ” he says. Almalki was tortured by Syrian interrogators but says had it not been for Canadian officials, he would not have been tortured. “The Syrians were the servants, were the people carrying out the act. 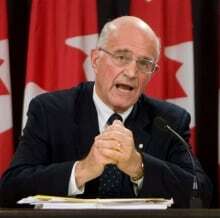 Canadian officials from the beginning set up the detention by sending false information to the Syrians,” he explains. Once Almalki was detained, he says the RCMP with the help of the Canadian ambassador of Syria met with the head of military intelligence to gain interrogation access. This segment was produced by The Current’s John Chipman. Related Stories – – go to the CBC URL at the top of this posting.